Landscape fabric and drain field fabric are two different products. Landscape fabric is designed to lay in place in gardens and landscape projects. Drain field fabric is designed to protect sand filters in in-ground drains from being clogged by wet soil. 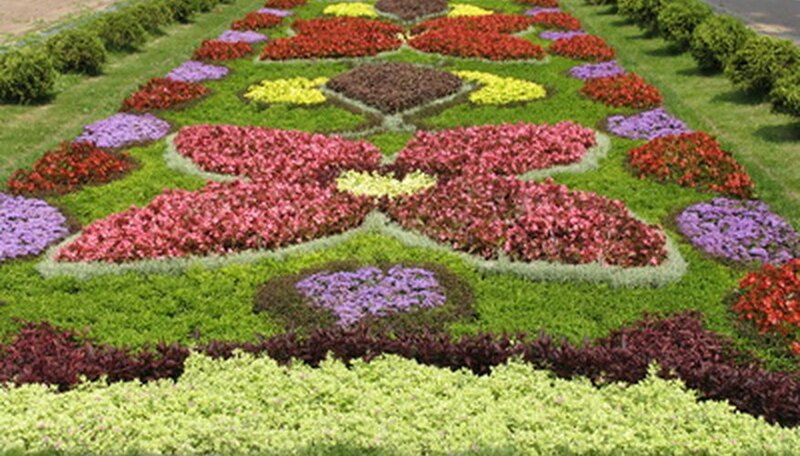 These geotextiles are often cut in order to best suit a variety of gardens, regardless of shape and size. Landscape fabric helps contain soil and limit weed growth. It is heavier than drain field fabric and can even be used for decorative purposes within a garden. Landscape fabric is made to allow aeration and irrigation within the soil. This protects plants with sensitive roots systems from drying out. Landscape fabric can be placed in a variety of settings, including beneath decks, sidewalks, or between rows in vegetable gardens. Landscape fabric, although versatile, does come with some unique limitations. It is considered a geofabric and, to protect soil quality, degrades with light and age. After five years, the fabric needs to replaced, a process that requires considerable time and effort. Also, landscape fabric is unable to deter all weeds from growing, meaning gardeners must still take the time to weed their garden on occasion. Drain field fabric requires considerable aeration to properly function. This is done by laying drain field fabric in between rocks and soil. It is lightweight to help protect the fabric against sediment, which can hinder and impede on its quality. Drain fields are often built with a rock-based trench with a pipe situated on top. The pipe is covered by fabric and then layered with stone and more fabric. Finally, 6 inches of soil is used to cover the pipe. Drain field fabric allows for water and soil to flow smoothly through filtration of the drain field without buildup of sediment. The holes within the fabric make it permeable and allow for filtration of surrounding soil. Lastly, the fabric is able to deter weeds and roots which can damage the drain field. Gardeners sometimes substitute drain field fabric for landscaping fabric, but due to its light weight, this is not practical for above-ground use. Geofabric is designed to increase the stability of soil, controlling erosion and improving drainage. Manufacturers often use a non-biodegradable fabrics to outlast other solutions in large outdoor projects. There are two types of fabrics available on the market, woven and non-woven. Non-woven fabrics allow for more filtration and erosion control, though woven textiles are better suited for strength and irrigation. What Are The Most Important Pieces of Farm Equipment?